Hey, Everyone! (Amanda, that means you). Hope you had a great Memorial Day Weekend! I joined HOOT in New Jersey for the Collingswood May Fair on Saturday. It was a day of excitement as we got the word out about HOOT while also adorning people with henna- we thought the alliteration was enough of a connection, and in case it wasn’t, we added a few owls to our repertoire. Perhaps next time I’ll announce it before I go to a fair. Keep tuned! 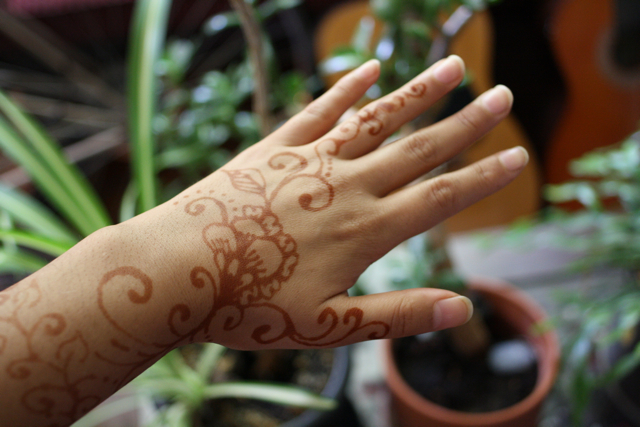 This entry was posted in henna, HOOT and tagged craft fair, henna by zanabot. Bookmark the permalink.